Few things are more quintessentially British than afternoon tea, which dates back more than 150 years. It was, after all, Anna the 7th Duchess of Bedford that introduced afternoon tea. The Duchess would get so hungry waiting for dinner, which was typically served at 9pm, that she got in the habit of ordering tea, bread and butter, and cakes in the afternoon to stave off her hunger. With that, the tradition of “at home” afternoon tea was born. At Home tea has long since died off, but The Langham Hotel, high up at a prominent position on Regent Street, is the hotel credited with carrying on the tradition by starting a luxurious afternoon tea service over 140 years ago. Where else then would a chic Bond Girl like myself find herself one afternoon in London? 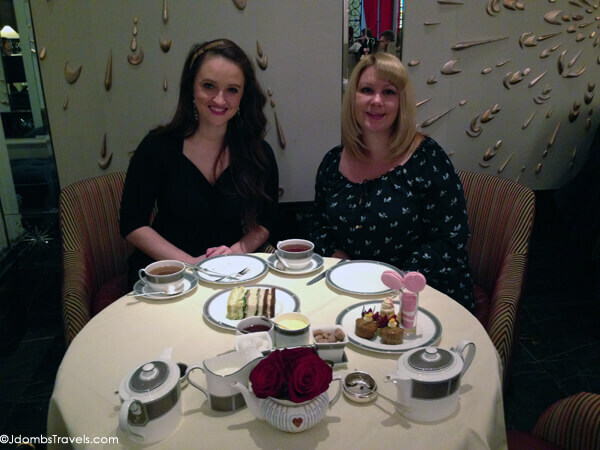 At the famed afternoon tea at the Langham London, of course! Afternoon tea at the Langham London is served in the hotel’s Palm Court. It feels incredibly posh as you enter through the handcrafted iron gates into the glamorous surroundings. You’d half expect to find modern day Duchess Kate sipping tea from the Wedgwood china while nibbling on the savory finger sandwiches. I’d have no such luck spotting any Royals, but I certainly felt like one myself as attentive servers ensured my teapot was always hot and my cup was always full. 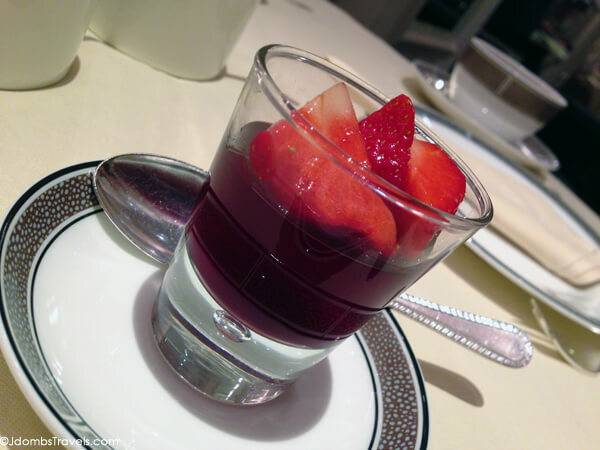 The afternoon tea service begins with a palette cleanser and on my visit it was a hibiscus and black currant gelatin with fresh strawberries. We were presented with the extensive tea menu to make our selection and the option to enjoy afternoon tea with a glass of champagne. The savory tea sandwiches arrived on a table-side three-tiered cart, which is fantastic because unlike the tiered serving trays usually put on the table, it doesn’t block your view of your afternoon tea companions. The selection included egg salad, poached salmon, prawn topped with black caviar, roast beef with tarragon, and chicken with sweet corn and dijon. No crusts, of course, as The Duchess of Bedford was insistent on being served sandwiches with the crusts removed! All were delicious, though I must admit that the chicken was my favorite and I happily accepted another when refills were offered. The sweets were soon placed on the top tier and they were so beautiful and delicate, I almost didn’t want to dig in. Banana cakes were topped with tiny sugary bananas, edible pink pearls decorated sponge cakes, strawberry meringues were presented as pinwheels in a glass of sugary sand, and gold leaf glistened on chocolate tortes. The final tier arrived as a generous basket of warm scones served alongside Devonshire clotted cream and strawberry preserves. Seconds were once again offered and as much as I would have liked another warm raisin scone, I simply didn’t have the room. We sat taking our time and chatting away as a pianist tinkled the ivories of a Baby Grand. It was a truly luxurious afternoon and provided plenty of fuel before an afternoon of shopping on nearby Oxford Street! The Langham London, which has won the Oscar of the tea world, or The Tea Guild’s Top London Afternoon Tea, is truly the place to experience this British tradition. Looking for other chic Bond Girl things to do in London? 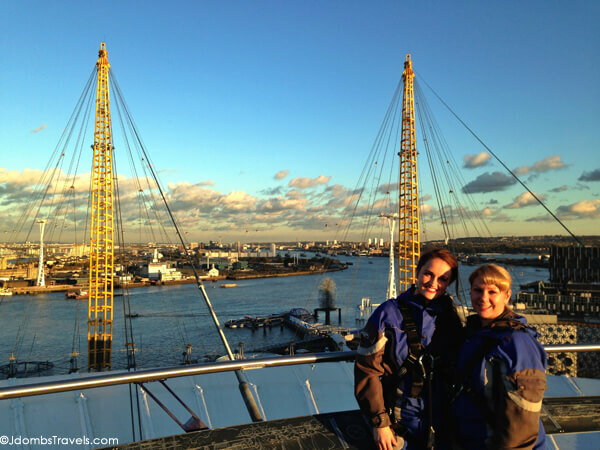 Check out the Bond Girl Guide to London! Seatings for afternoon tea at the Langham London are available at 1pm, 3:15pm, and 5:30pm. Reservations are required and can be booked online. 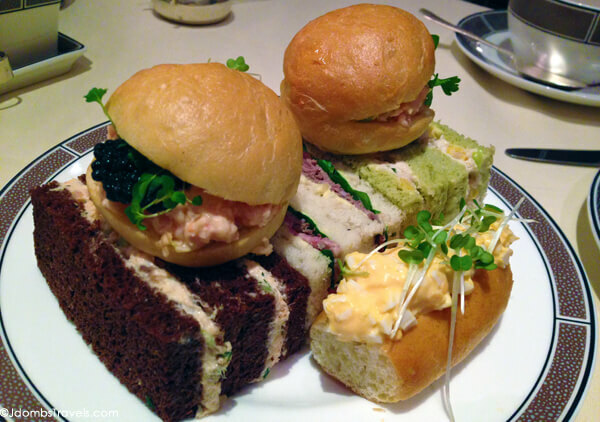 There are several afternoon tea menus available and we enjoyed the Wonderland Afternoon Tea. 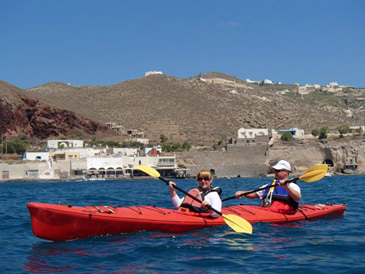 It is £40 per person or £52 per person including a glass of champagne. Thank you to Visit Britain for hosting us for the Wonderland Afternoon Tea at the Langham London in order to bring you this story. As always, all opinions are entirely our own. They were very colorful – such a great presentation! Sure is! Afternoon tea is always a relaxing way to spend an afternoon. I did high tea in Dubai and its a bit similar, but also very different. I will have to check out this one as well. Ooh, nice! I really want to have the afternoon tea at the Burj! 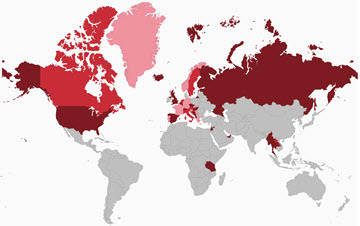 I think I’ve got to start booking more afternoon teas around the world. They are always so fun! Drool indeed! It’s amazing how tasty something so simple as tea and sandwiches can be! Amazing how soothing a simple cup of tea and scones or sandwiches can be. Had high tea at the Waldorf a few years ago but it sure doesn’t compare with the Langham. Will have to keep it in mind the next time I’m in London. Hope you enjoyed your shopping after. Thanks for linking up this week, Jennifer! Afternoon tea is always a lot of fun. I’ve also had afternoon tea at The Plaza in NYC. Pink Meringue pin wheels – hello?! The meringues were so light and tasty! And I absolutely loved the presentation of them! You had me at French pastries. I soooooo want some. The pastries and cakes were delicious! 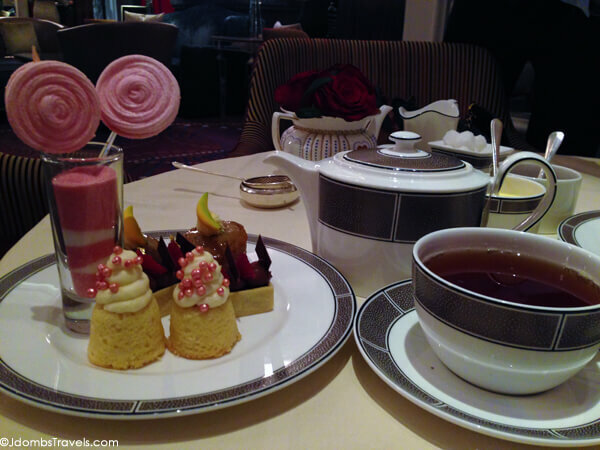 The Langham also has another tea that features pastries and cakes that are themed like jewels. Beautiful and delicious! I love when they offer refills on your favorite treats! After all my fabulous afternoon teas in China, I definitely hope to sample the original in London some day! Now I am hungry! Those mini cakes look delicious! My mom and I love going to visit different tea rooms. Afternoon tea always makes me feel so posh and fancy! Yes, afternoon tea is so much fun! I think I need to schedule an afternoon tea for my mom and I when we’re in NYC next week. I just had dinner but nonetheless you made me hungry again with all these photos 🙂 This looks like an amazing place to have an afternoon tea!! The Langham has always been stately, but it seems that the tea crowd is turning into a brunch crowd! There were so many adorable older couples just enjoying a relaxing afternoon tea. I’ve got to get Tim to an afternoon tea one of these days. It is sad when the country traditions of afternoon tea are modernised or changed to suit modern day tastes. 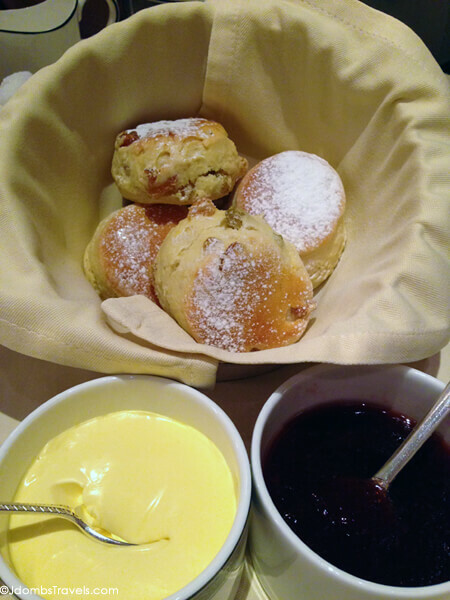 Fresh scones should have a crispy outer crust and only heated if stale! If they are heated the cream can melt and this in my mind is a disaster as the beauty and unique taste of clotted cream is the thickness! The best afternoon teas I ever had are in west country small home made tea rooms where the scones are freshly made each day and the clotted cream originates. Also much less costly! lets not make it into a snobby, touristy tradition or it will become part of the traditions lost by the deamnds of mass globalistion a la Starbucks etc. The sandwiches look good but chicken and beef and rolls are not part of the tradition…what happened to cucumber sandwiches? As for the French addition of sugary meringues and fancy choc cakes bring back the simple fruit cake or cherry genoa cake! That is my wish that I could do the same as you do! a lovely afternoon with tea.